OpenBlade is designed as an ultra-dense 5U platform for IT infrastructure. With its specific blades design, OpenBlade gives you the opportunity to have up to 384 servers in only 42U enclosure. This configuration could be the answer to the Big Data problematic as well as for dense HPC servers. 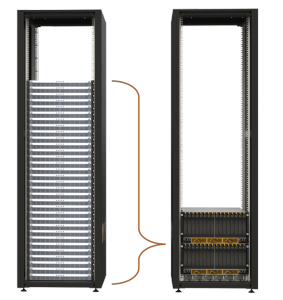 OpenBlade optimizes space by pooling the use of electronic components to all servers. It reaches the way of densifying IT infrastructure.